The demands “U.S. Hands off Venezuela” and “End the Sanctions Now” and “No U.S. Intervention, No Coup” echoed on the streets of cities from Buffalo, N.Y., to Portland, Ore., in the U.S, as well as Canada, as protesters denounced the U.S.-backed coup d’etat aimed at toppling the legitimate government of Venezuela. 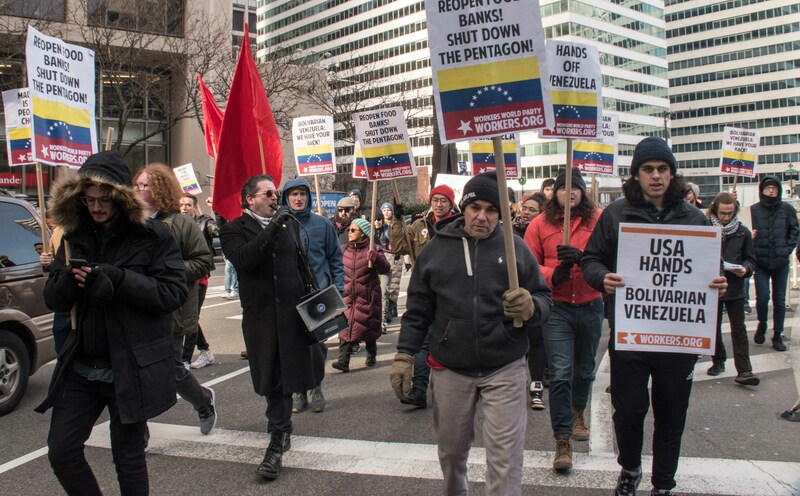 Boston — On Jan. 25, demonstrators gathered in response to the U.S.-orchestrated coup attempt in Venezuela. 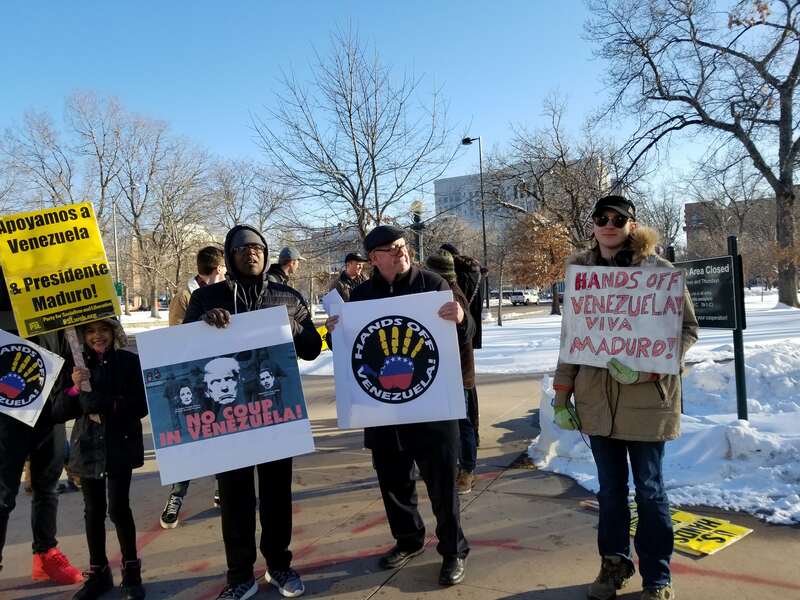 The demonstration was called by the Party for Socialism and Liberation and endorsed by Workers World Party, the Boston Venezuela Solidarity Committee and Massachusetts Peace Action. Organizers from these groups as well as the Boston Democratic Socialists of America, Answer Coalition and others spoke or read statements denouncing the attempted coup by Juan Guaidó. They highlighted the devastating effects of past U.S. interventions in Latin America, particularly in Chile, the Dominican Republic, El Salvador and Guatemala. At a second demonstration on Jan. 26, speakers from the Committee for Peace and Human Rights, WWP, the Coalition to End the Genocide in Yemen and others took turns addressing the need for solidarity from workers and oppressed in the U.S. Several speakers also emphasized the connection between U.S. interventions in Central America and the current refugee crisis and U.S. treatment of refugees on the southern border. 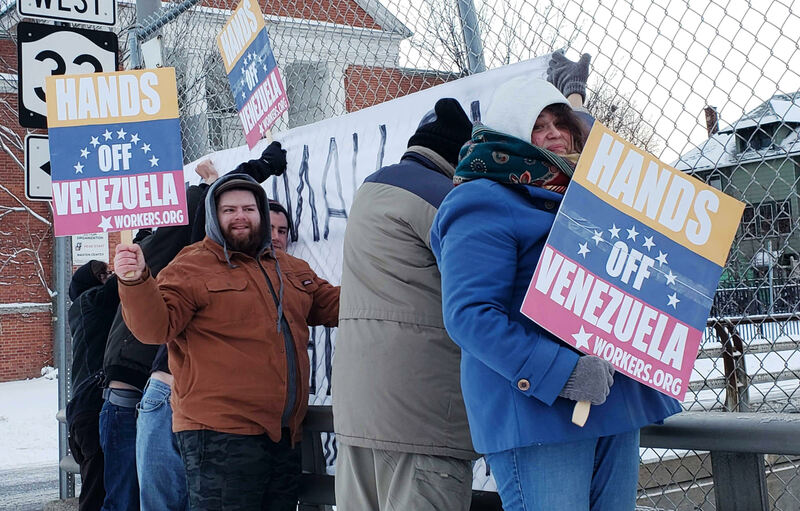 Buffalo N.Y. — In one of the first U.S. protests against U.S. intervention in Venezuela, at 7:30 a.m. on Jan. 25, intrepid organizers and activists in this snowy, cold, windy city hung a banner on the overpass facing traffic on the busiest downtown expressway. The banner read “U.S. Hands off Venezuela, No Intervention, No Coup!” and was greeted with enthusiastic honks from rush-hour drivers. The action was initiated by Buffalo Spring Action 2018, Burning Books, Buffalo DSA, WWP, Buffalo International Action Center and more. 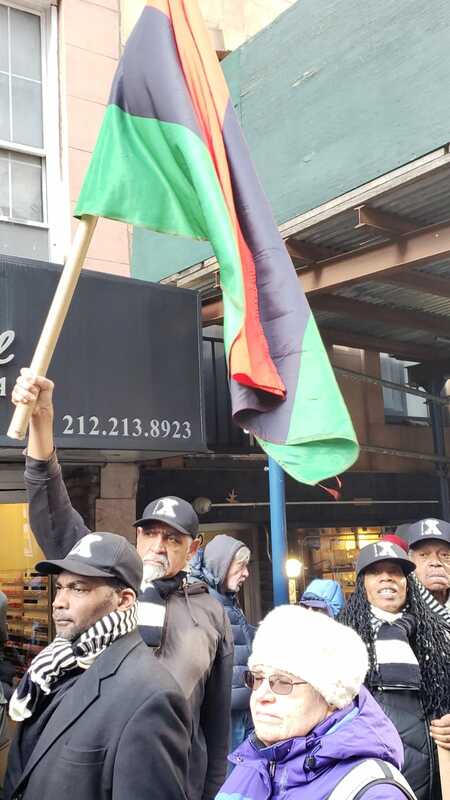 New York City — Activists took to NYC streets Jan. 27 with cries of “USA! Hands off Venezuela!” and “Cuba si! Bloqueo no!” while imperialist criminals Mike Pompeo and Elliot Abrams were nearby at the United Nations demanding the rest of the world sign on to their crimes against Venezuela. WWP, IAC, December 12th Movement, the Socialist Workers Party, the Internationalist Group and the Communist Party USA, among other groups, stood shoulder-to-shoulder in the freezing cold to answer the call of Cuban solidarity activists, who asked that protesters gather across the street from the Cuban Mission to the U.N. in unity and solidarity. The call was to support the working class in both Venezuela and Cuba, both of which have come under attack since the U.S. war machine attempted to overthrow the democratically elected government of Venezuela last week. Their strong, united showing indicated that the U.S. left is ready to unify and mobilize at a moment’s notice to defend workers’ gains across the world. Philadelphia — Nearly 100 activists rallied outside City Hall on Jan. 26 to demand “U.S. : Hands off Venezuela” and to support the Bolivarian Revolution. Demonstrators condemned the U.S.-backed coup d’etat aimed at toppling the legitimate government of Nicolás Maduro. The pro-Chavista gathering outnumbered a small group of Venezuelan fascists who tried to disrupt the rally. When Mexican activist Carmen Guerrero, addressing the crowd in Spanish, was interrupted by a fascist provocateur, she fearlessly faced them down in a heated exchange. She led the crowd in a chant of “¡Chavez, Presente! ¡Maduro, presidente!” and drowned out the interruption. Nkrumah Ture of the Black Alliance for Peace affirmed the analysis of election observers who certified Maduro was elected in a free and democratic process. Demonstrators shut down traffic in the heart of Center City, marching around City Hall toward the Philadelphia District Attorney’s office. There Meghan Malachi of REAL Justice read a statement of solidarity with the Venezuelan people and Nicolás Maduro, which was a commentary by Mumia Abu-Jamal. The action was called by WWP and endorsed by the IAC, PSL, Black Alliance for Peace, the Green Party, Philly REAL Justice, Black and Brown Workers Cooperative, the International Marxist Tendency, Extinction Rebellion, Philly Socialists and the MOVE Organization. Durham, N.C. — WWP Durham, joined by Youth Fighting U.S. 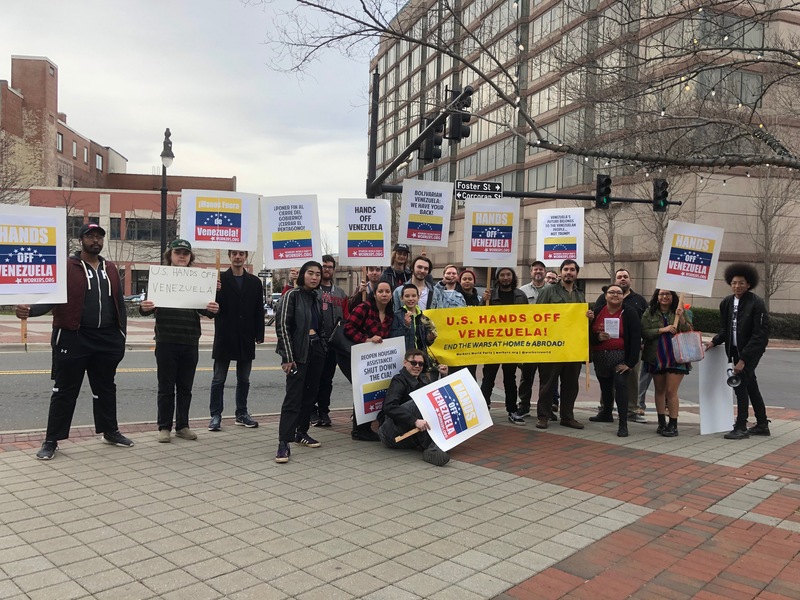 Empire, members of the Young DSA and the North Carolina Green Party, demonstrated in downtown in solidarity with Venezuela and the Bolivarian Revolution. Passersby eagerly took solidarity statements demanding “U.S. Hands off Venezuela!” Many made connections between the attempted coup in Venezuela and the increasing anti-Trump climate. A brief march followed through the city to the “food truck rodeo” where many families were gathered. Food truck lines were interrupted by chants of “No Sanctions, No Coup! Venezuela, We Stand with You!” Another demonstration is planned in Raleigh, N.C., on Feb. 2. Atlanta — On Jan. 25, WWP held a solidarity speak-out in defense of the Venezuelan Bolivarian Revolution. During the evening rush hour at a main downtown intersection, anti-imperialist activists held signs and distributed leaflets denouncing the U.S.-orchestrated coup attempt and supporting the presidency of Nicolás Maduro. Speakers included representatives of Friends of the Congo, PSL and WWP. WWP called a second solidarity action outside CNN for Feb. 1 to expose the false reporting of the 24-hour “news” channel which openly advances the interests of the Venezuelan and U.S. coup-makers. 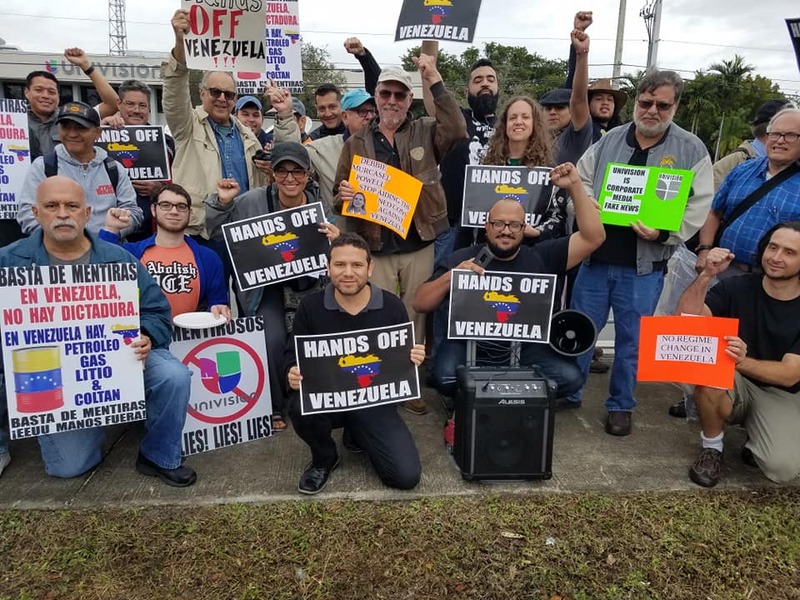 Miami — Activists rallied in front of Univision 23’s studios against U.S. intervention in Venezuela on Jan. 26. The demand was straightforward: Hands Off Venezuela! 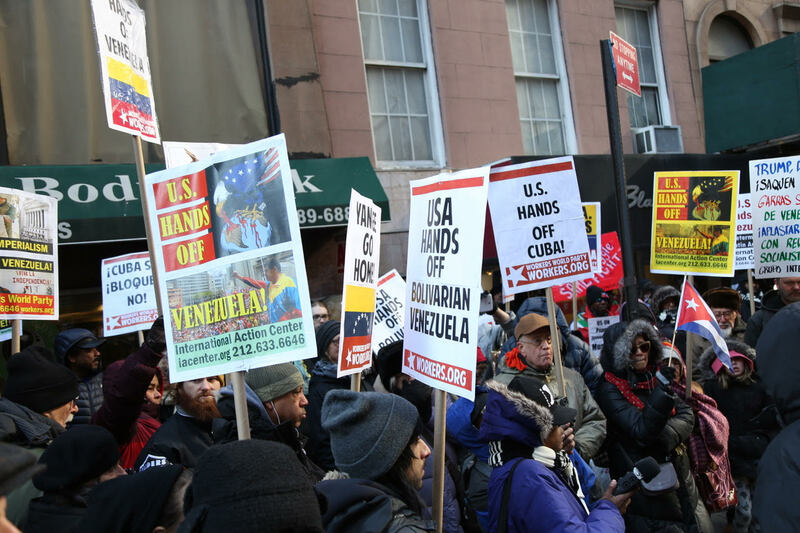 The rally, hosted by the Emergency Hands-Off Venezuela Committee, was joined by members of various local progressive and revolutionary organizations. The slogans most popular with the protesters were “Paz si, golpe no!” “Yankee Go Home!” and “No More Sanctions!” This action is the first among many that the nascent anti-imperialist movement in Miami plans for this year in response to the Trump administration’s escalation of aggression against Venezuela. Houston — Houstonians took to the streets two days in a row to show solidarity with the Bolivarian government and to demand the U.S. stop attempts to organize a coup. On Jan. 28, at the federal building during rush hour, leaflets were handed out in traffic and activists spoke, using a loudspeaker. A lot of honks and thumbs-up were given in response. Participating were WWP, Houston Socialist Movement, Young Communist League, PSL, Students for a Democratic Society at University of Houston and independent activists. San Francisco — A militant crowd rallied and marched Jan. 25 in San Francisco’s Mission District to demand ”No U.S. Intervention in Venezuela” and to support the democratically elected government of President Nicolás Maduro. The emergency protest was organized by the Answer Coalition and joined by several resistance, human rights and anti-war forces in the Bay Area. 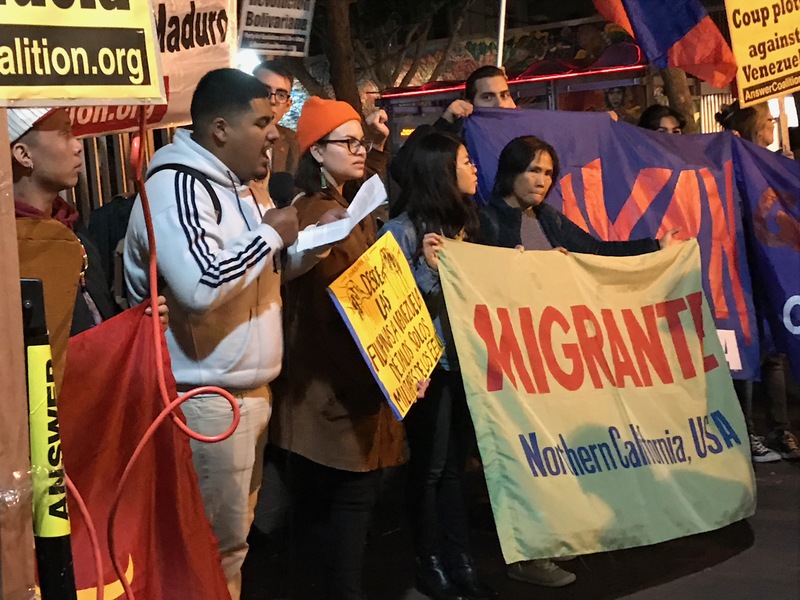 After a short rally, the protesters marched down Mission Street in the heart of this city’s Latinx community. Bystanders and motorists cheered, honked and showed support for the anti-war demonstration. Speakers at the closing rally linked their struggles against U.S. imperialism to the threat of U.S. intervention in Venezuela. Fernando Echeverría, speaking for BAYAN, said, “Let us remind the U.S. of its own abuses from supporting the bombing of Palestinians to supporting the ongoing drug war in the Philippines, which is taking the lives of tens of thousands of poor people.” Echeverria, who had just returned from the U.S./Mexico border at Tijuana, spoke about the real humanitarian crisis in Latin America created by the U.S.
Denver — Dozens of people braved the cold, while chanting and demanding: “U.S., CIA: Out of Venezuela!” and “Hands off Venezuela!”on Jan. 29. They protested Washington’s recent attempts to set up a parallel government to the elected government of President Nicolas Maduro and offer financial and military support for the “opposition.” Maduro won the election — yet U.S.-backed Juan Guaido outrageously announced that he was the president of Venezuela without a single vote. Mark Burton, of the Denver Peace Council, and protest organizer, explained that the U.S. has a long history of regime change and installation of oppressive dictators in Latin America. But times have changed and Washington’s many wars in the last 19 years are causing more people in the U.S. to urge a “hands-off policy” and respect for Venezuela’s sovereignty. 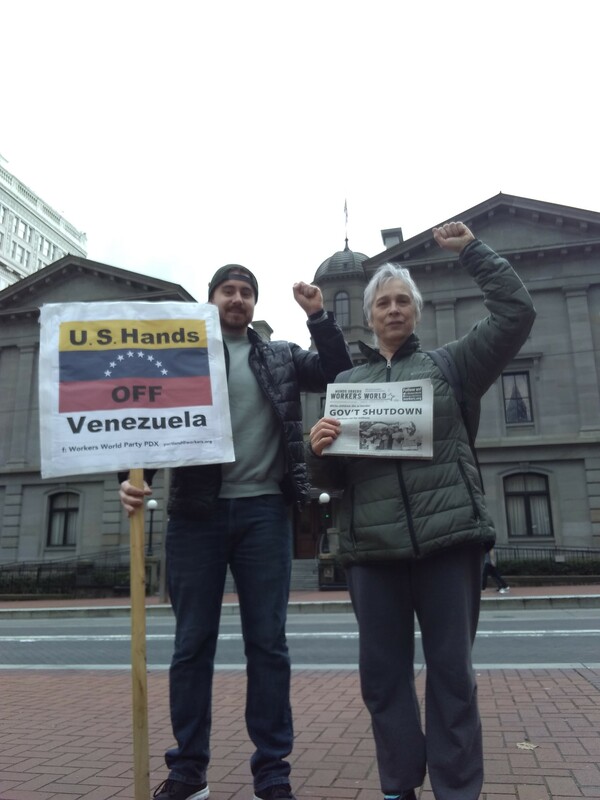 Seattle — A Venezuela solidarity protest on Jan. 25 brought out dozens of people demanding “Hands Off Venezuela” in a busy shopping district. The street rally was organized by Answer and supported by many organizations. Veterans for Peace speaker Randy Rowland talked about being a war resister when he was jailed at the Presidio in San Francisco during the Vietnam War. As a former member of the Presidio 27, he said he looked up to Hugo Chávez as a soldier-resister to the former pro-imperialist regime. The demonstration denounced U.S. intervention as a plot to rob Venezuela’s control of its oil resources. Vancouver, Canada — People came together in unity on Jan. 26 to protest the illegal and undemocratic attempts of the U.S. and Canada to overthrow the democratically elected President of Venezuela Nicolás Maduro. People from many political parties, organizations and grassroots groups joined in solidarity with the people of Venezuela who are defending the Bolivarian revolutionary process and their democracy, sovereignty and self-determination. No Coup in Venezuela! U.S./Canada: Hands Off Venezuela! 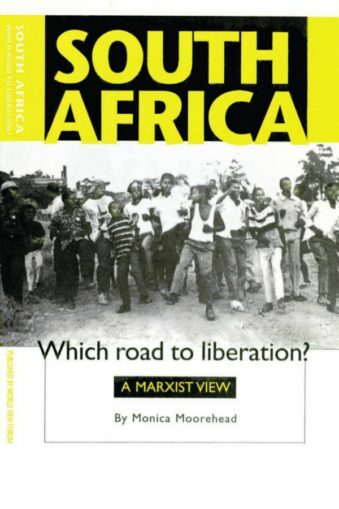 Contributors to this article include Tom Answeeney, Alison Bodine, Ellie Dorritie, Durham WW bureau, Taryn Fivek, Judy Greenspan, Ted Kelly, Jim McMahan, Dianne Mathiowetz, Lyn Neeley, Sam Ordoñez, Didier Ortiz, Gloria Rubac and Viviana Weinstein. For political update and analysis, see related articles.